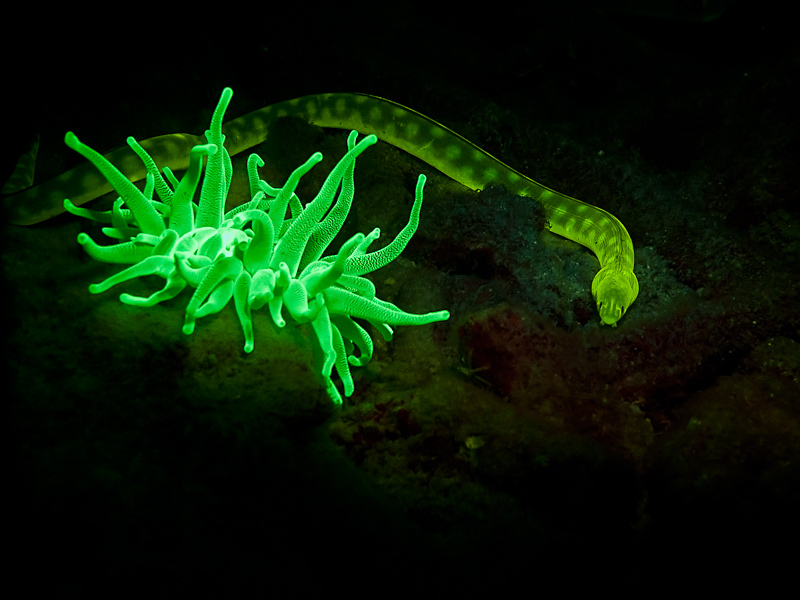 It’s been called many things – fluodiving, fluoro diving, fluorescence night diving, UV diving – but no matter what you call it, the optical magic of fluorescence adds a totally new dimension to your night diving. A dive site you think you know like the back of your hand becomes totally new. Fluorescence is around us all the time, but it is almost always invisible beneath the brightness of sunlight by day or the beam of your dive light at night. 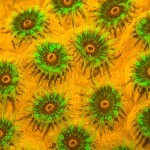 With the right equipment many corals and other organisms light up with unexpected and vivid colors. 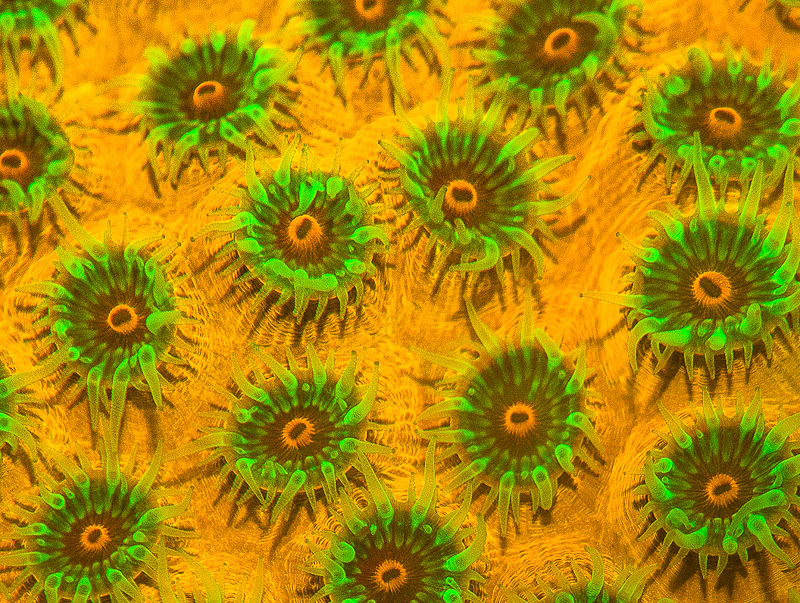 The NIGHTSEA lights and filters unlock this hidden world of fluorescence so you can explore at your leisure and return with spectacular memories and images. 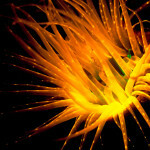 Fluorescence is kind of magical – you point a light at something and a totally different color comes out. Light is being absorbed at one wavelength (color) and re-emitted at another wavelength (color). 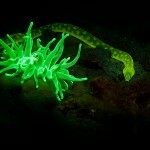 It is usually impossible to predict from its ‘normal’ appearance whether an organism will fluoresce or not. Through years of research and development NIGHTSEA has pioneered the use of blue light technology for underwater fluorescence exploration. 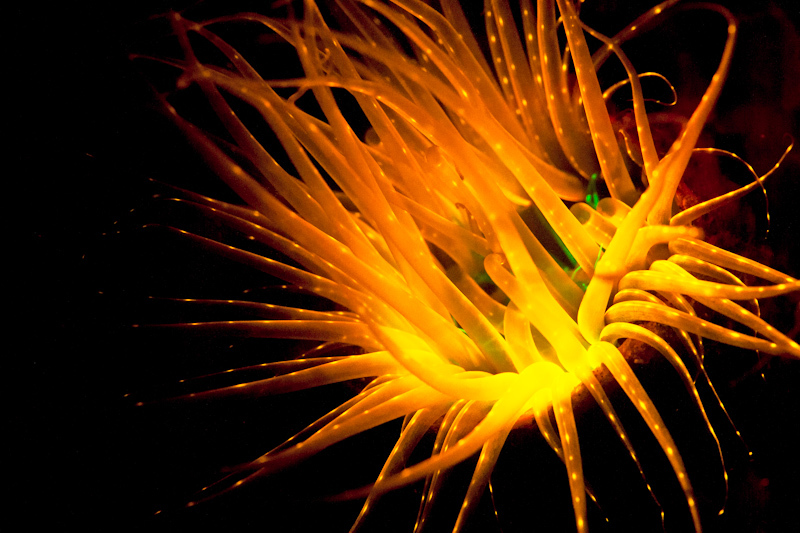 Blue light is better than ultraviolet for making more marine subjects fluoresce, and more brightly. There’s lots to learn on this site. 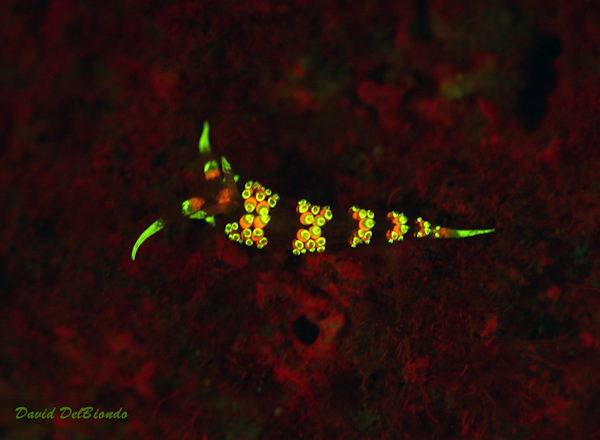 View the galleries, check out some videos, read the FAQ, see a capsule summary of the history of underwater fluorescence, and peruse the articles.